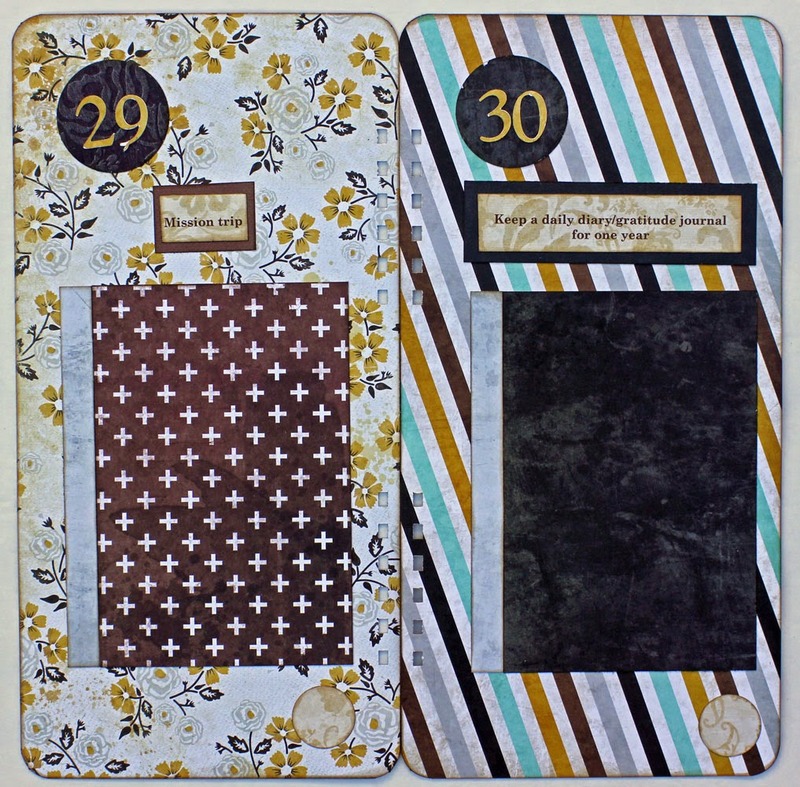 Even though I created a page here on my blog where I can share progress on my 50 Things To Do Before I'm 50 list, I knew I also wanted some sort of album to track my completions of these goals. 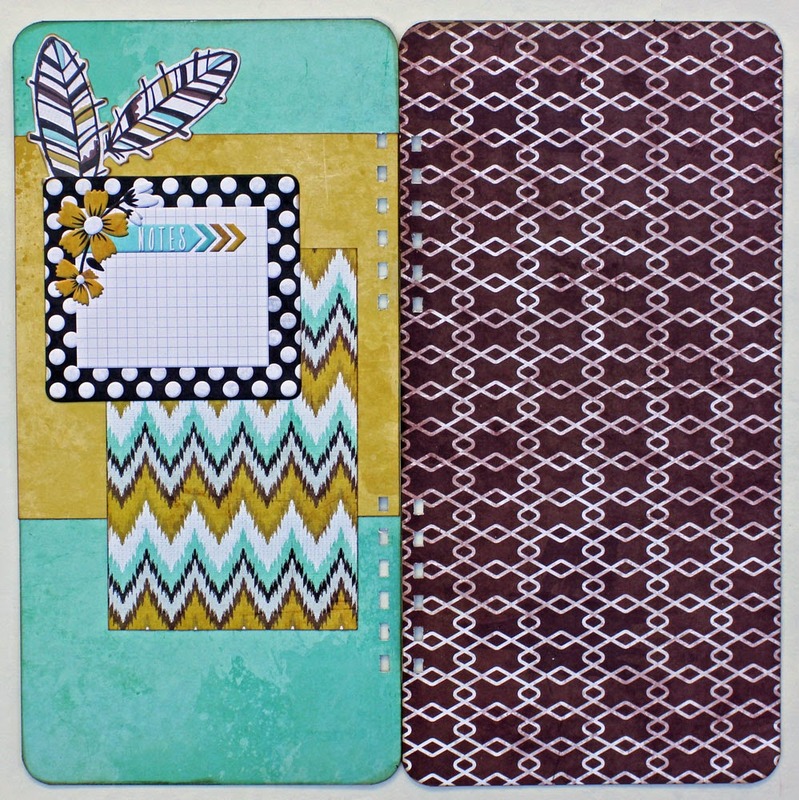 I decided to create a 6x12 album using the We R Memory Keepers Indian Summer Paper Pack, which contains 48 pieces of double-sided patterned paper . . .
. . . six sheets of cardstock, and several matching embellishments. 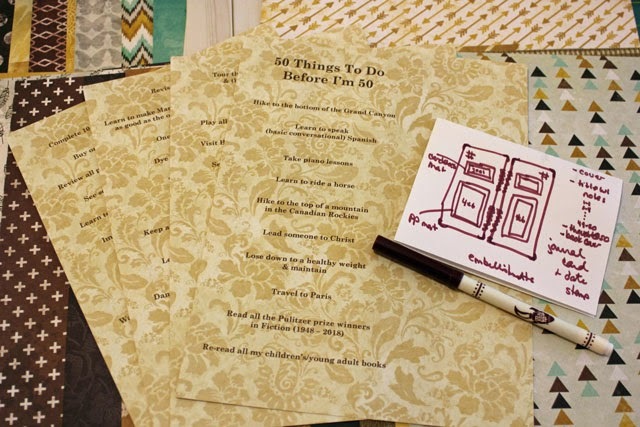 I printed my 50 Things To Do Before I'm 50 list onto 8 1/2 x 11 patterned paper, then created a sketch of how I wanted to set up the pages of the mini-album. 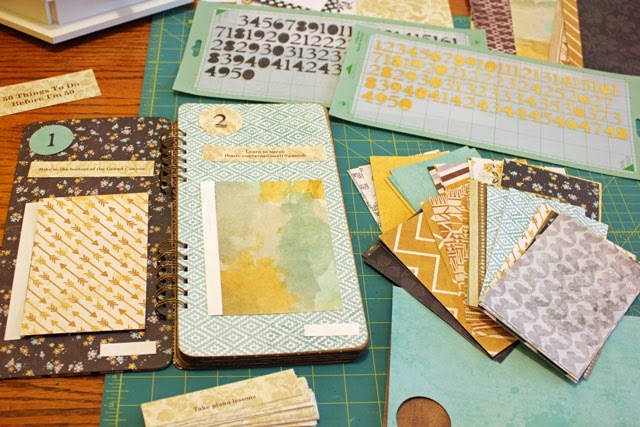 After creating the 6x12 pages by adhering two pieces of the patterned paper back-to-back, I cut out the remaining elements (4x6 pieces for photo mats, punched circles to hold the Cricut cut numbers, small journal strips, and punched circles for the date). 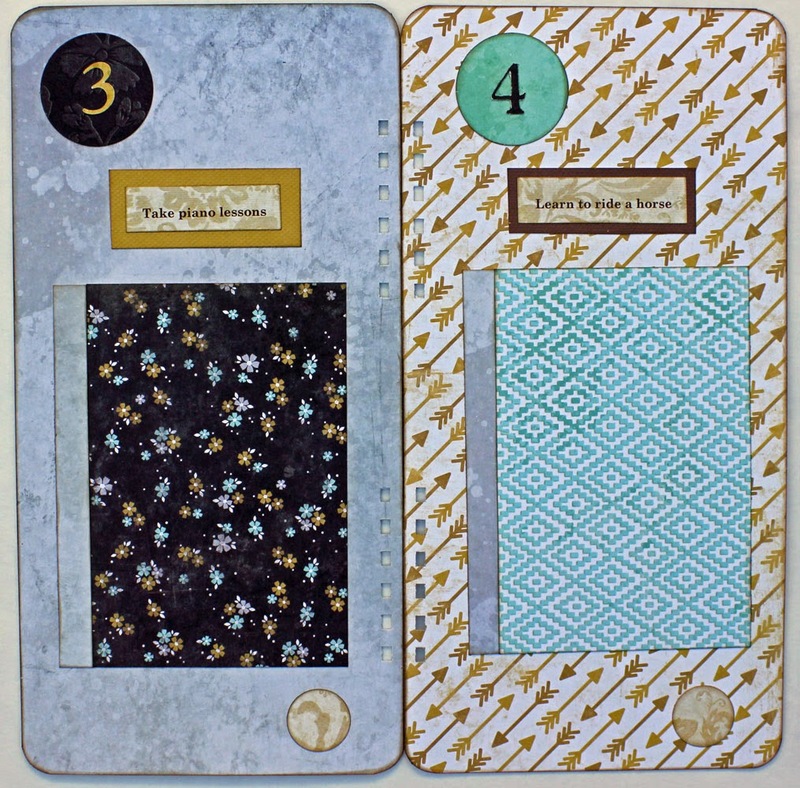 Then it was simply a matter of assembling each page . . .
. . . which took a lot longer than I thought it would because I had also decided to ink the edges of every single piece of paper and mat each of the printed items on cardstock! It was well worth the time as I am thrilled with the result. Here's a look at some of the pages. 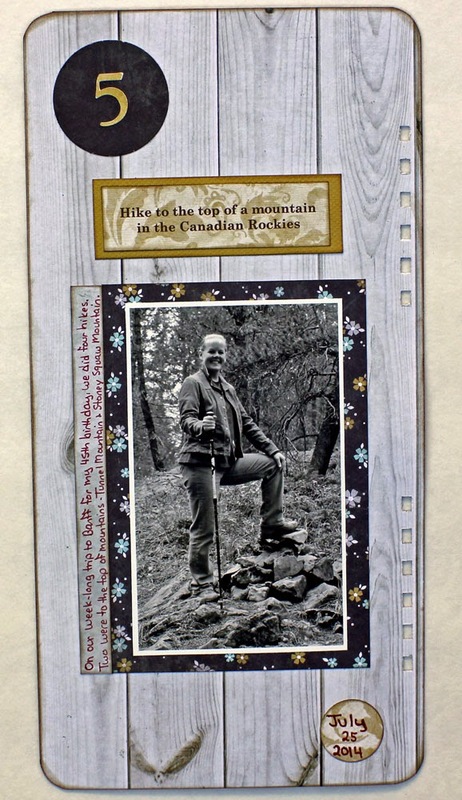 I included an introduction page explaining how I'd put my list together and my goal to complete the items in five years before my 50th birthday. . .
. . . and left room at the end for my reflections at the end of the five years. Since I've already completed one item on my list, I filled in that page by adding a couple of lines of journaling, the date, and a photo. To keep some consistency in the album, I've decided to use all black and white photos. 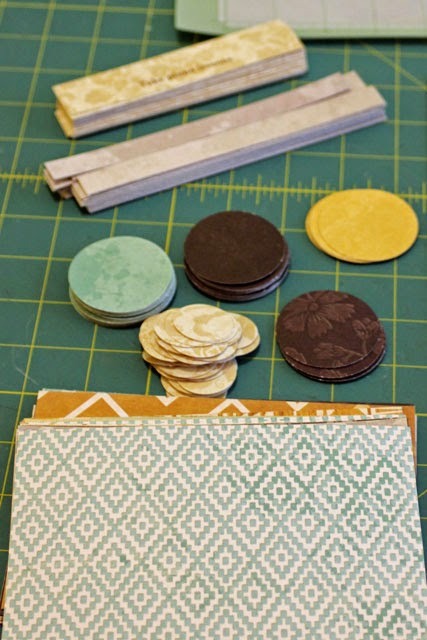 I added the title, a photo, and some embellishments to the cover, then propped this album up in my craft room where I'll see it regularly and be inspired to work on the items on the list! I'm looking forward to filling in each page over the next several years! What a great way to keep them,Melissa. 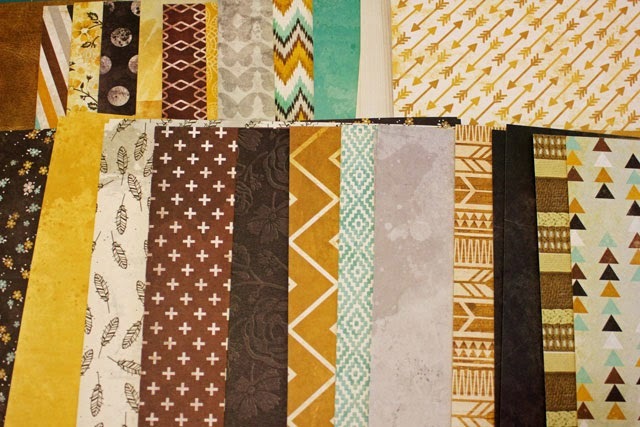 I love the colours in that paper! And a great way to look back on your goals. 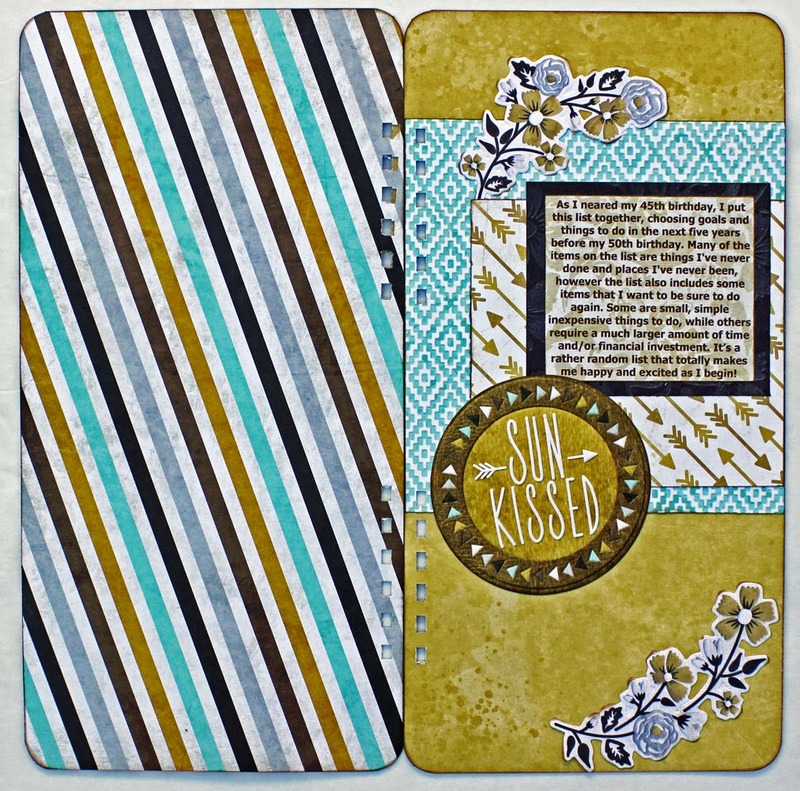 Love, love this book Melissa!! 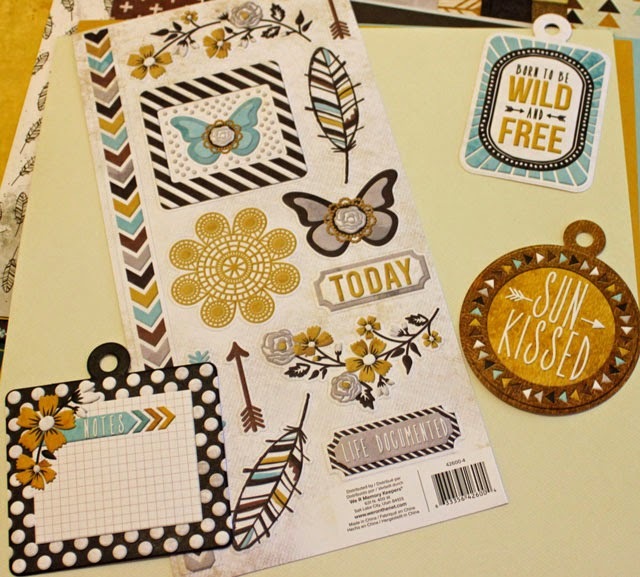 :) I picked up a few papers and embellishments in this collection. It's sooo pretty! 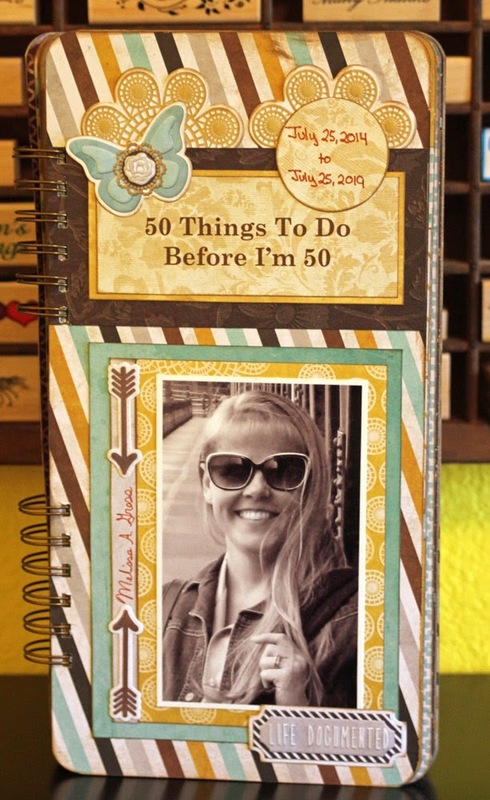 :) You will have such fun filling up this book with your 50 things! This is such a great idea and you have made it beautifully! This is a really ambitious project! 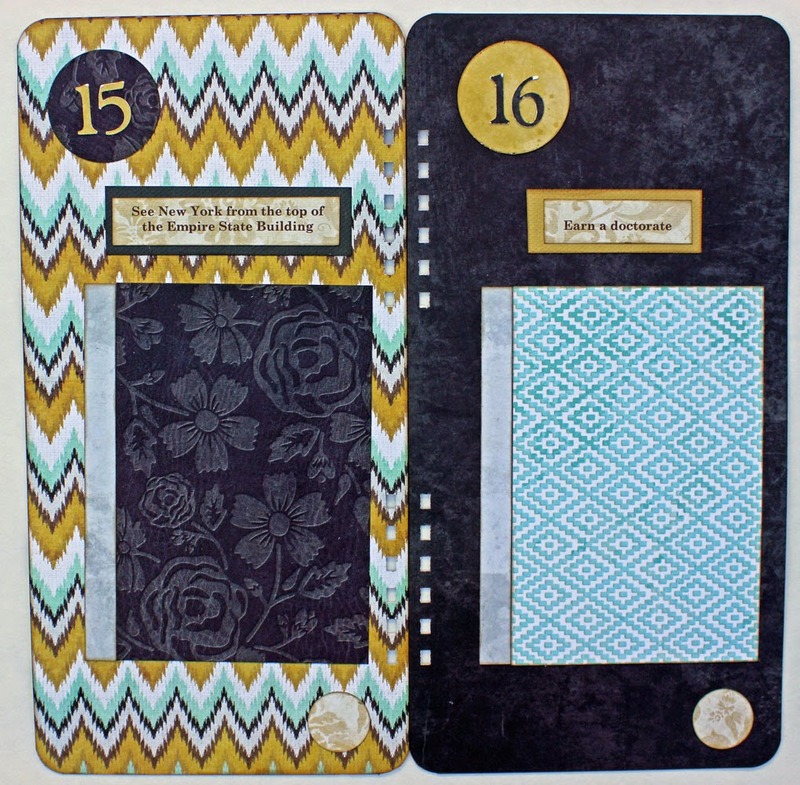 Can't wait to see the completed pages. 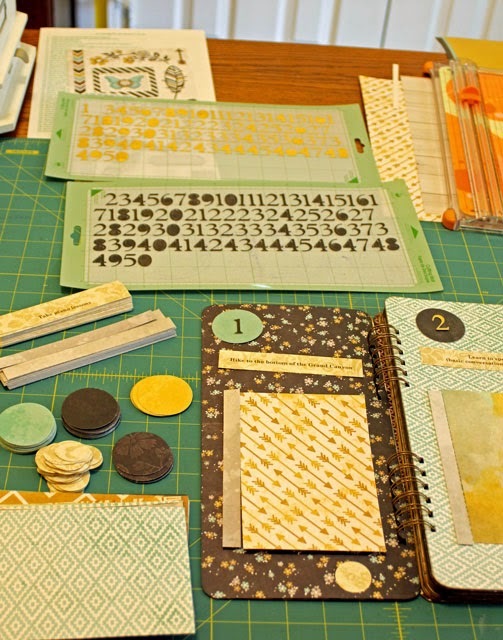 I wish blogs had a "love" button - what a wonderful project!